Shop "The bell tower of Moldova"
On the 34th Sunday after the Pentecost, the day after the Feast of the Baptismal of Christ, Metropolitan Vladimir of Chisinau and Moldova celebrated the Divine Liturgy in the Nativity of Christ Cathedral in Chisinau. Traditionally, the day after the Theophany, or Baptismal of the Lord, is commemorated in the Orthodox Church as the Synaxis of St. John, the Forerunner and Baptizer of Christ. 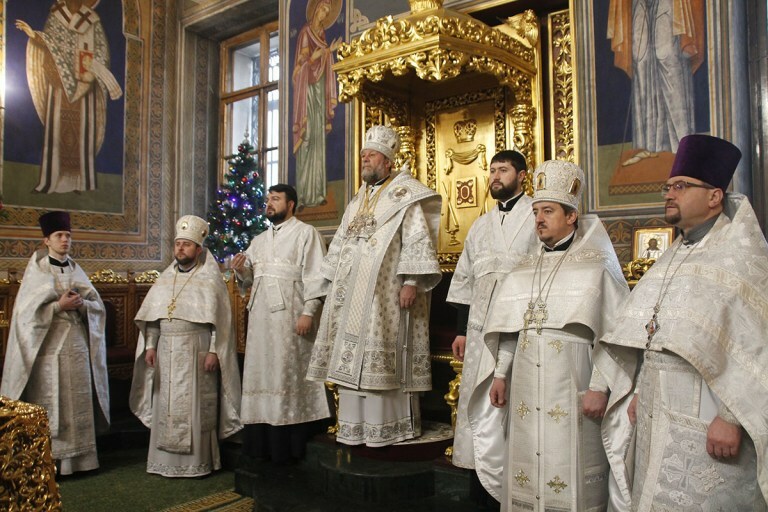 The first hierarch of the Orthodox Church of Moldova was greeted early morning at the entrance into the Cathedral, and conducted the celebration of the Divine Liturgy, assisted by the Cathedral Dean, archpriest Vadim Cheibas, and the clergy of the holy shrine. Concelebrating to the archpastor, among other priests and deacons, was archpriest Veniamin Onu, missionary of the Orthodox Church of Moldova in northern areas of Italy. The liturgical community thanked the Lord for utmost mercy and blessing, and sang lauds and hymns to the Holy Prophet and Forerunner of the Lord, John the Baptizer, the one who preached repentance and the coming of the Heavenly Kingdom. Synodal Sector of Institutional Communication and Mass-Media Relations.